Info: The cover art is from the Nebuta Festival. Song info: Used as a TV commercial jingle for au smartphone “isai vivid” manufactured by LG Electronics. Ringo also starred in the commercial. 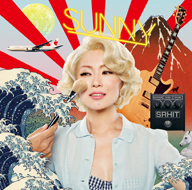 Song info: Used in advertisements for Coca-Cola Japan in summer 2015. 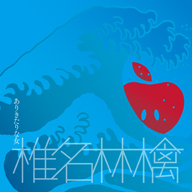 Song info: Used as the theme song for the drama series Marumaru Tsuma [A (Something) Wife]. The song was written as a tribute to the drama’s screenwriter Kazuhiko Yukawa and its production staff. 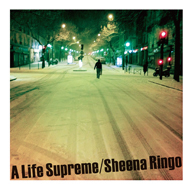 Notes: The phrase shijou no jinsei was a lyric originally found in the song “Nippon” (which I translated as “Supreme life” although Ringo’s translation is “A Life Supreme”). Song info: English version of Kodoku no Akatsuki. “Nobu/Neko version” refers to the fact that Nobuhiko Nakayama was in charge of programming and Neko Saitou was the conductor, violinist, and in charge of the string arrangement. That’s a good thing, no? But progress is good, no? Song info: The flight route titled Japan Airlines 5 flies from JFK Airport in New York City to Narita Airport in Tokyo. Notes: The word “DIAM.” appears twice in the song, both times read as “diamond.” I’m not entirely positive what it means the first time, but the second, when it’s appearing after talk of command keys, it’s referring to an execution sequence using an Apple keyboard (Ringo uses Macs to produce music). ⌘ is the symbol on the command key of Mac keyboards, and hitting ⌘(command)251 executes a chord sequence of Dm7->G7->Cm7. “Dm” (D minor) looks a bit like “DIAM./diamond” so I assume that’s the reference here. Also, that chord sequence plays as she sings that line. Similarly, for ⌘+2, that means the chord sequence is going up two places, which is also reflected in the music. Song info: Originally released as a download-only (via iTunes Japan) forerunner to the full album. Notes: This release was timed to coincide with the 2014 World Cup and help support Japan. 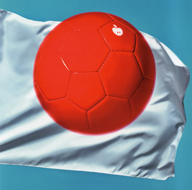 Unfortunately, Japan did not advance to the final 16 and placed 29th overall.